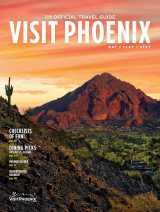 Plan for dining, shopping, lodging, things to do and more with our Greater Phoenix Travel Guide and lure brochures. Visit Phoenix offers high-resolution photography and video for travel industry sales professionals showcasing the Greater Phoenix area. Commercial or for-profit usage is strictly prohibited unless permission is granted by Visit Phoenix. All images must include the photo credit noted in the library. Phoenix International Sky Harbor Airport is in the heart of it all, just minutes from Tempe, Phoenix, Scottsdale, and surrounding communities. Visit our transportation page to learn about getting around via vehicle, light rail, bike and more.